Jaipur, one of the prime tourist destinations of India, attracts thousands of the tourists from the country and beyond. The hotels of the city have a sense for the demand of quality accommodation. That's why the hotels of the city have ensured to offer the best to the guests of the city. 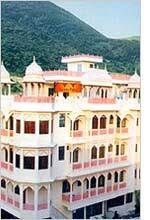 The hotels in Jaipur are varied in nature so the tourists have an opportunity to choose an accommodation of their choice. Hotels in Jaipur have luxurious rooms, multi-cuisine restaurants, well-behaved staff and aesthetically embellished interiors.